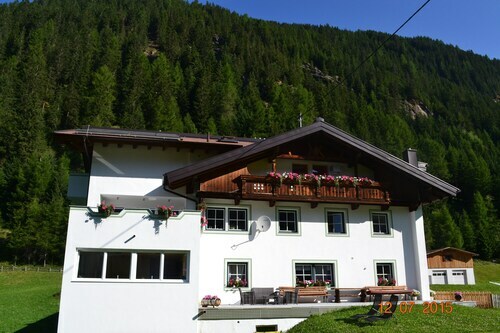 Situated in Umhausen, this guesthouse is within 1 mi (2 km) of Niederthai Church and Stuiben Waterfall. Otzi Village and Oetztaler Sheep Wool Center are also within 6 mi (10 km). This family-friendly Umhausen resort is located in the mountains, within 2 mi (3 km) of Niederthai Church and Stuiben Waterfall. Otzi Village and Oetztaler Sheep Wool Center are also within 6 mi (10 km). Situated in the mountains, this hotel is 0.3 mi (0.4 km) from Niederthai Church and 1.3 mi (2 km) from Stuiben Waterfall. Otzi Village and Oetztaler Sheep Wool Center are also within 6 mi (10 km). 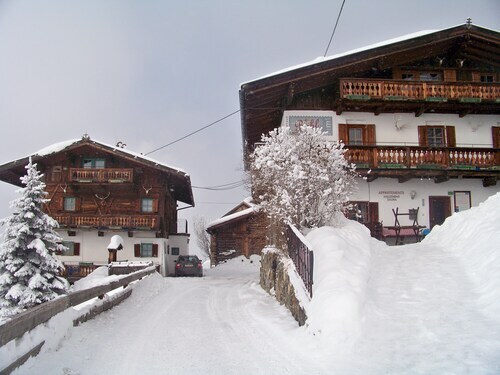 Nestled on the slopes, this ski-in/ski-out apartment building in Umhausen is within 2 mi (3 km) of Niederthai Church and Stuiben Waterfall and close to winter sports such as skiing lessons and snowshoeing. Otzi Village and Oetztaler Sheep Wool Center are also within 6 mi (10 km). How Much is a Hotel Room in Niederthai? Hotels in Niederthai start at per night. Prices and availability subject to change. Additional terms may apply. Niederthai has a unique range of places to rest. Travelocity customers have access to about 16 excellent accommodations within a short drive of Niederthai's center. 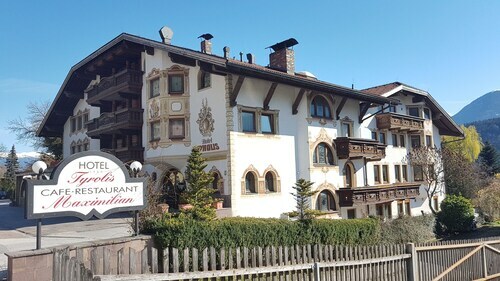 Within 0.6 miles (1 kilometer) of downtown, customers of Travelocity will find some great Travelocity-listed hotels, like the Hotel Falknerhof and Zur Sonnen. 11 miles (18 kilometers) from the center of Niederthai, you will find the Bergland Hotel. Alternatively, the AQUA DOME - Tirol Therme Längenfeld is located about 4 miles (6 kilometers) away. 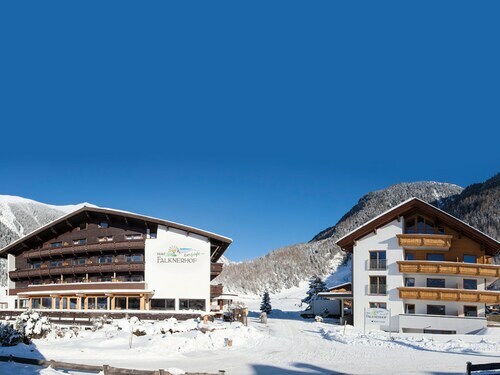 Two other alternatives worth looking into include the Interalpen-Hotel Tyrol GmbH along with the Hotel Gurglhof. The broader Tirol area is definitely worth having a look at too. Move around Tirol's castles and old towns. Anyone with a love for the outdoors can also take the time to relish the region's rivers. Popular pastimes in this pocket of Austria include snowboarding, skiing and cross-country skiing. 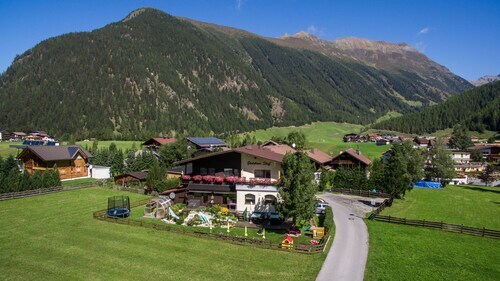 11 miles (17 kilometers) from Niederthai, you can reach Sankt Leonhard im Pitztal, where you can enjoy Church of the Holy Abbot Leonhard and Pitztaler Ski Resort. 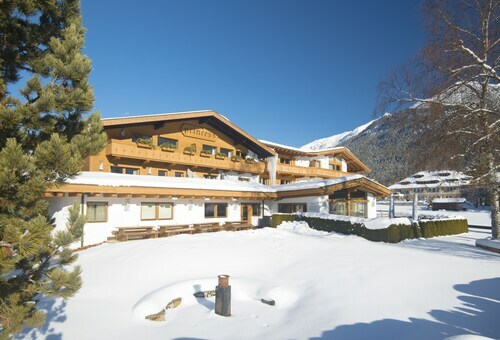 Some Travelocity-listed Sankt Leonhard im Pitztal hotel establishments include the Der Pitztaler Kirchenwirt and Hotel Bergland. 6 miles (10 kilometers) northwest of Niederthai, you'll find Oetz, which features the Ferienschlössl and Aktiv Panoramahotel Daniel. While visiting Oetz, set aside some time to explore the Area 47 and Piburger Lake. Get yourself a sporting fix by taking a journey to Bergisel Ski Jump, which is located 20 miles (36 kilometers) to the northeast of Niederthai. Find accommodation not far from the sporting action at the The Penz Hotel or the Hotel Seppl. For modern travelers planning on flying through Kranebitten Airport, you might choose to book a room at Best Western Plus Hotel Goldener Adler, or Hotel Mondschein, both of which are a short drive away. The hotel staff was very helpful. We stayed here in the middle of a three week trip through Central Europe. 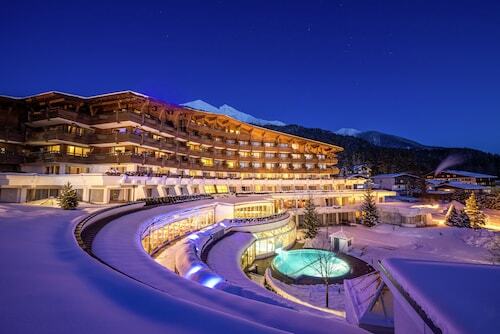 We decided our time in Seefeld would be "down time," after being constantly on the go. Our time there was just what we needed. Beautiful hotel, excellent food! Breakfast included. Free parking. Close to Innsbruck. Too far from town to walk if elderly, or young. Food ok if you are particularly partial to pork. Rooms seen better days "in the eighties". Cycle hire ok if you are on a suicide mission not maintained, probably from their day of manufacture. The town is enchanting and well worth a stay, the hotel was not dissimilar from Fawlty Towers. how Inghams can place this on their brochure is beyond me. So overall a fantastic holiday............... "dreary hotel" sorry, one more thing if you are partial to nightcap buy duty free because the bar closes..............EARLY.